Defense Arguments: 1. Denial of committing violations 2. Denial of seeing violations 3.Stated that he warned his men daily against striking prisoners 4. 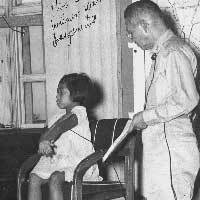 Admitted that it was Japanese custom to slap prisoners and that the accused generally, slapped prisoners of war. 5. Claimed that requesting prisoners of war to stand outside for a long period of time was not punishment but a means of investigation. Judge Advocate's Recommendations: The Army Judge Advocate, Allan R. Browne, pointed out the inadequate and disproportionate sentences to the instances of beatings.